What if we had one day a year where instead of being inundated in our social media and email with a mixture of work, politics, clickbait, and the occasional rainbow, we were treated to our friends and family sharing passionate posts about what causes they support and why? At the heart of it, this is #GivingTuesday. 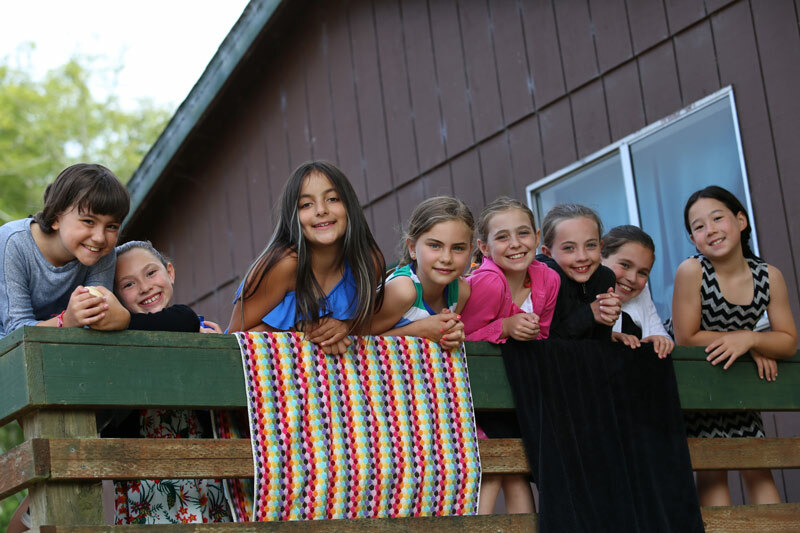 For the past four years, B’nai B’rith Camp in Oregon (BB Camp) has bought into this on-line giving day and the impact has been stupendous. We inspire new donors, involve our community, engage major donors, and find creative ways to tell our story. We have raised over $220,000 from 2015 – 2018 during #BBGives, our #GivingTuesday fundraiser. We have had around 120 donors each year,with 140 donors in 2018 – that is over 10% of our donations for the year in basically one day. A total of 110 new donors have donated over the 4 years with a 59% renewal rate for these donors. Overall, we have raised $26,389 during #BBGives from new donors, and these donors have donated a total of over $47,000 to BB Camp. Each year, the breakdown of gifts is approximately 25% from new donors, 25% donors renewing their past #BBGives gifts, 25% renewals from other “out” donors, and 25% from BB Camp “Fans” give an additional gift. In today’s world where everyone is overscheduled, overstressed, and overwhelmed, involving volunteers is not easy. A Culture of Philanthropy means that an organization does not rely only on the paid fundraisers to raise the money. An organization that creates a Culture of Philanthropy gets board members, staff members, and other volunteers involved in raising dollars. This way we increase our network and create excitement for giving. Each year, over 30 volunteers help us raise dollars by making phone calls, sending emails, and/or creating their own Peer:Peer pages. In 2018, 84% of the dollars raised through #BBGives were raised with the help of our community. creating a matching gift pool. A number of our larger donors have increased their support and/or given a first-time gift of $2,000 or more as they knew they were inspiring new donations. How has it worked? In 2018, we had a $30,000 single match and, so far, have raised $30,460 from the community. Social Media Posts – weekly posts for 4-6 weeks ahead of #GivingTuesday with a video or series of pictures. Daily posts for the week prior, and hourly posts on the day-of. Emails – this year we sent a total of 3 broadcast emails. One 3 weeks ahead of time, one on Black Friday, and one on #GivingTuesday. In addition, we sent 1 email directly to all outstanding donors (previous donors who had not donated this year). We had an opt-out rate from these emails of less than 1%, meaning we actually added about twice as many people from new donors. Our goal is not to overwhelm our community with posts and emails. Yet, we find that our strategy outlined above raises significant dollars, involves many people in the process, closes gifts more effectively for year-end fundraising, and has the added benefit of engaging many people online by engaging with our creative story-telling. This year, I did notice a slight downturn in our interactions on-line. It is hard to tell if this is due to fatigue, or we weren’t as effective or innovative in our posts. However, our dollars raised tell a different story- a story of engagement and philanthropy. What I do know is that for those of us who are interested in building community in the world, something I do both through my profession and my volunteer work, that today’s world of social media offers amazing opportunities. As we know, sadly, social media can provide much division, an opportunity for acrimony, and often we must wade through a lot of junk to find the chunks of positivity. I understand people feeling overwhelmed by Black Friday, being upset by political rancor, and feeling like they’ve seen one too many personality tests, but I don’t understand people feeling that they are sick of #GivingTuesday posts. As I said above, BB Camp’s theme this year focused on why our campers and our community are Thankful for BB Camp. I know what I am thankful for, I am thankful for a community which embraces our goals and for volunteers that show-up and help. I am thankful that we have one day each year when our social media feed and our emails (though I am as guilty as the rest of you of not actually opening many mass emails) are full of organizations and individuals supporting the amazing work of the non-profit sector in our country. #GivingTuesday is my favorite day of the year, not only because we raise a ton of money for BB Camp, but because it is a breath of fresh air in a medium clogged with the smog of consumerism and partisanship. And for that we should all be thankful and not upset with the number of organizations trying to participate. Aaron Pearlman Aaron attended BB Camp from 1978 – 1985 and was a counselor in 1986 and 1989. 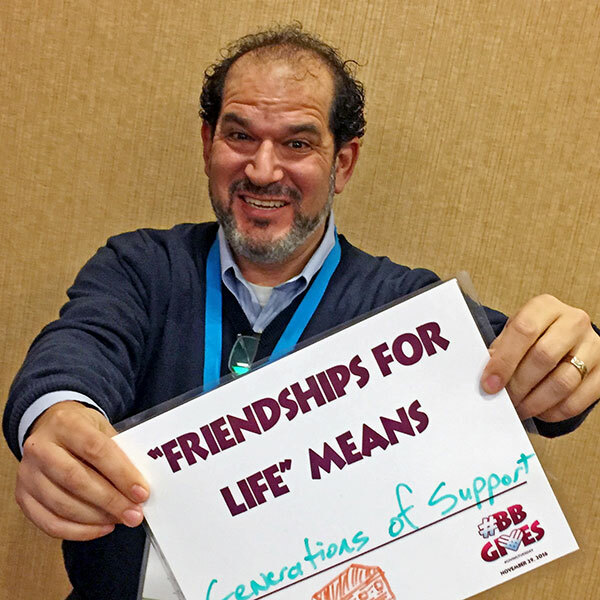 Aaron credits BB Camp for inspiring him to attend the dual-degree Jewish Communal Service program at the Jewish Theological Seminary and Columbia University. Aaron has been in fund development for nearly 20 years including four at the San Francisco Jewish Community Federation and eight at Portland State University. Aaron was the founding Executive Director of the Greater Portland Hillel, and a founding board member of both the Jewish Theatre Collaborative (JTC) and Tivnu: Building Justice. Aaron is a Past President of the Association of Fundraising Professionals Oregon & SW Washington Chapter and an active member at Congregation Havurah Shalom. Aaron and his wife, Sacha Reich, are the proud parents of longtime BB Campers Lev and Ravit.